Attach R-0007758 holding fixture (2) to the transmission. Attach R-0007758 holding fixture (2) with transmission to the 3-9506289 Universal Adapter (1). 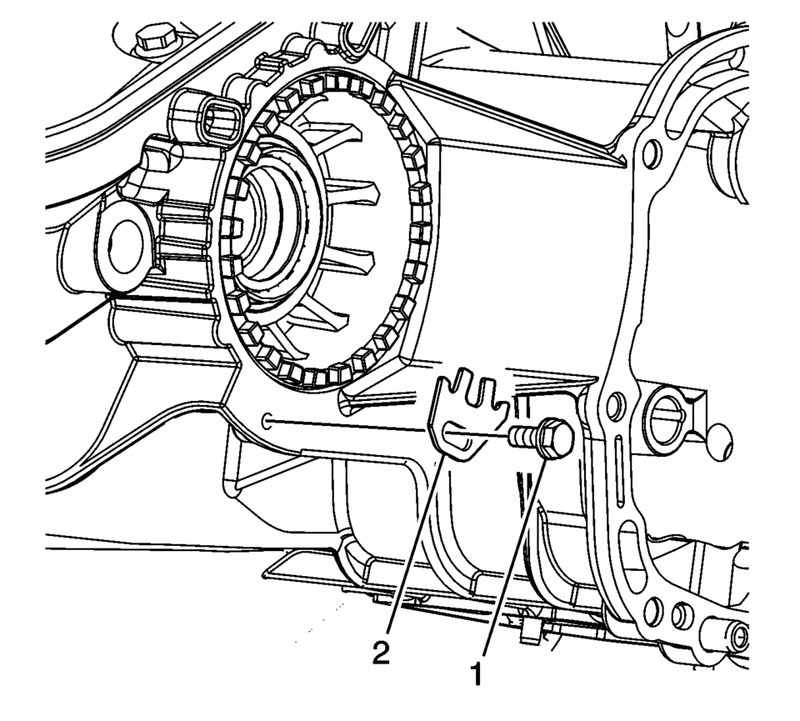 Remove the clutch release bearing (1). Remove the clutch fork shaft retaining bolt (2). 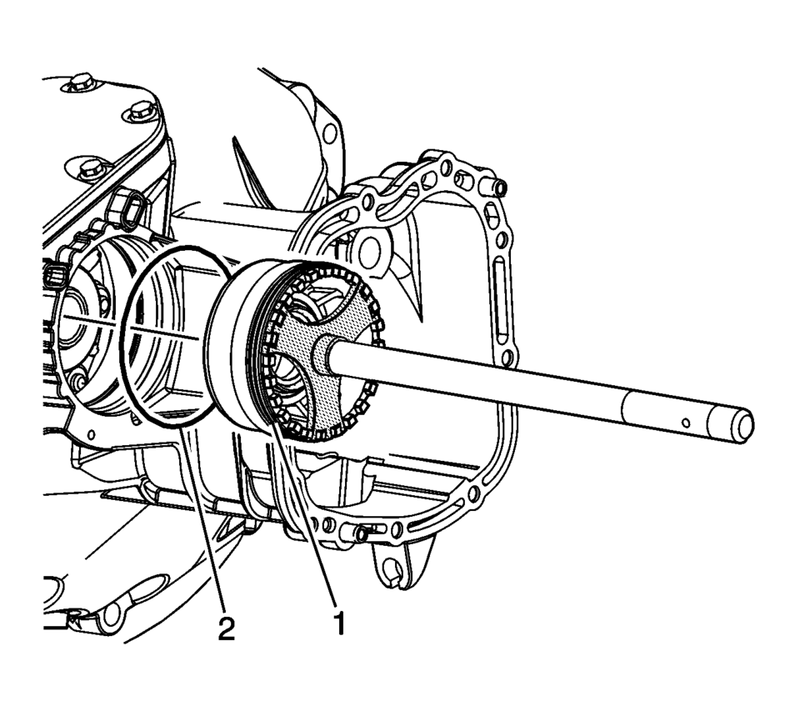 Remove the clutch fork shaft (1). Remove the transmission control lever housing bolts (1). 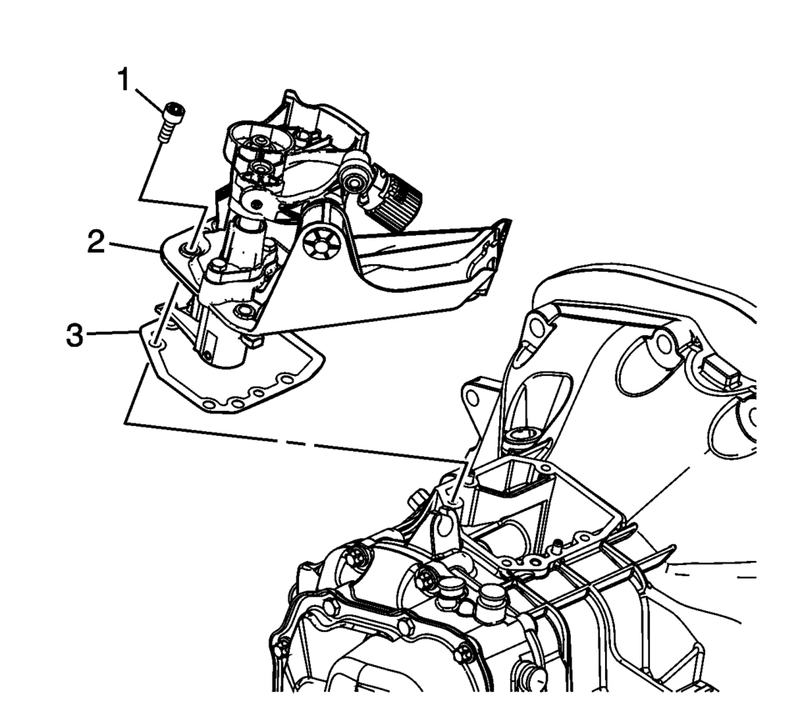 Remove the control lever housing (2) and gasket (3). Remove the transmission cover bolts (3). 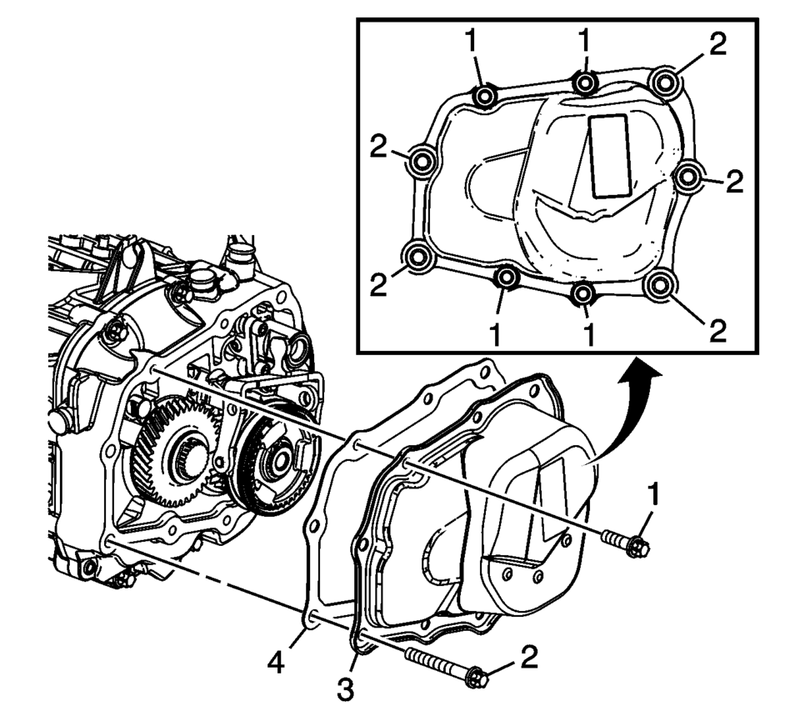 Remove the transmission cover (2) and gasket (1). Remove the back up lamp switch (1). Remove the transmission case bolts (3). 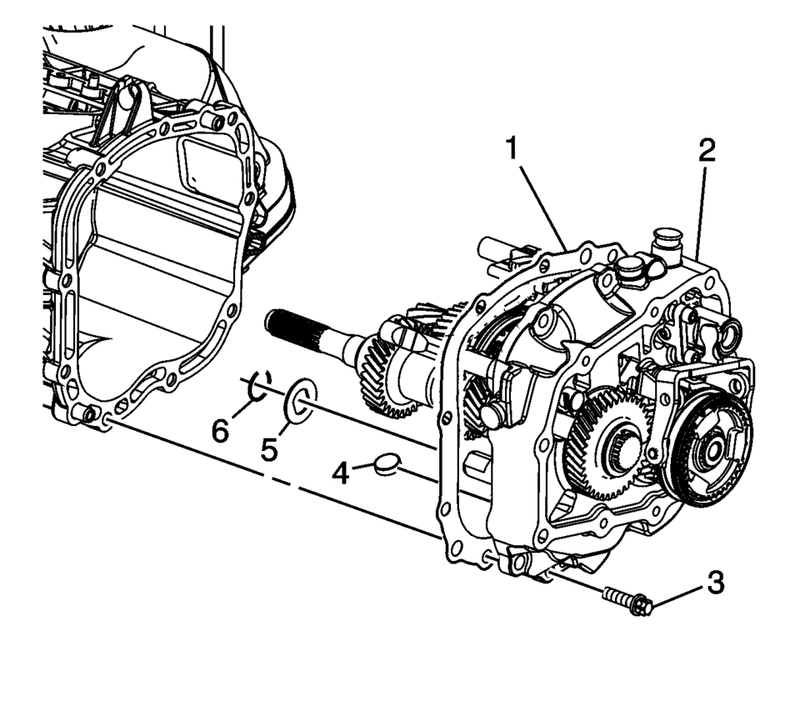 Remove the transmission case (2) and gasket (1). Remove the case magnet (4), may stay with case. 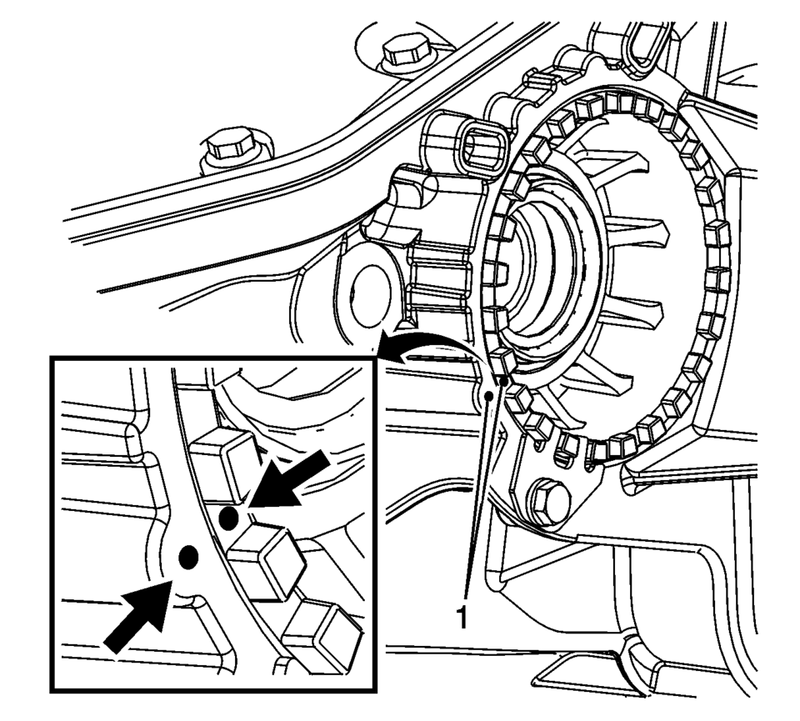 The reverse gear shaft snap ring (6) MUST be installed even if not originally equipped to prevent shifting issues caused by incorrect assembly or parts not in position. 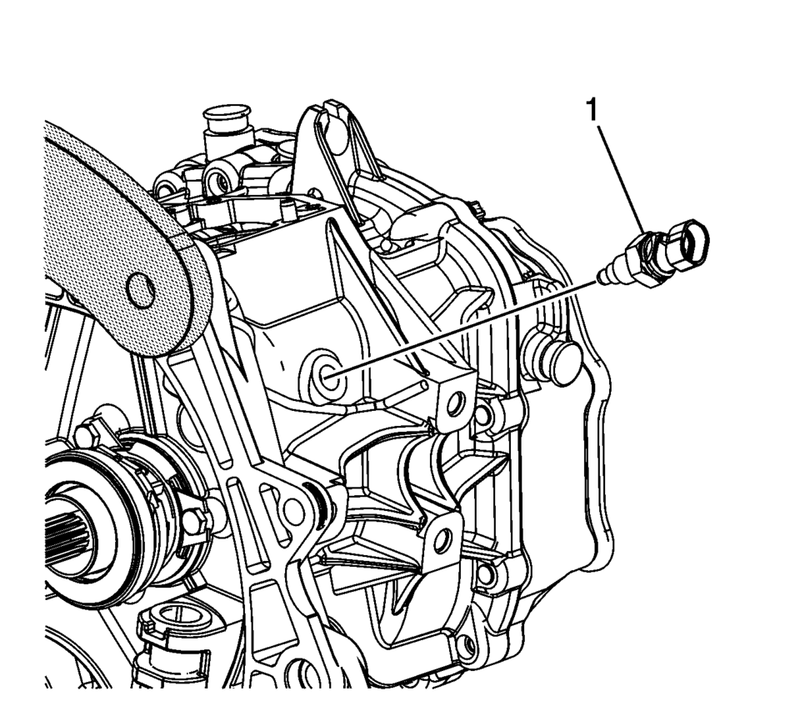 Remove the reverse gear shaft snap ring (6) if equipped. 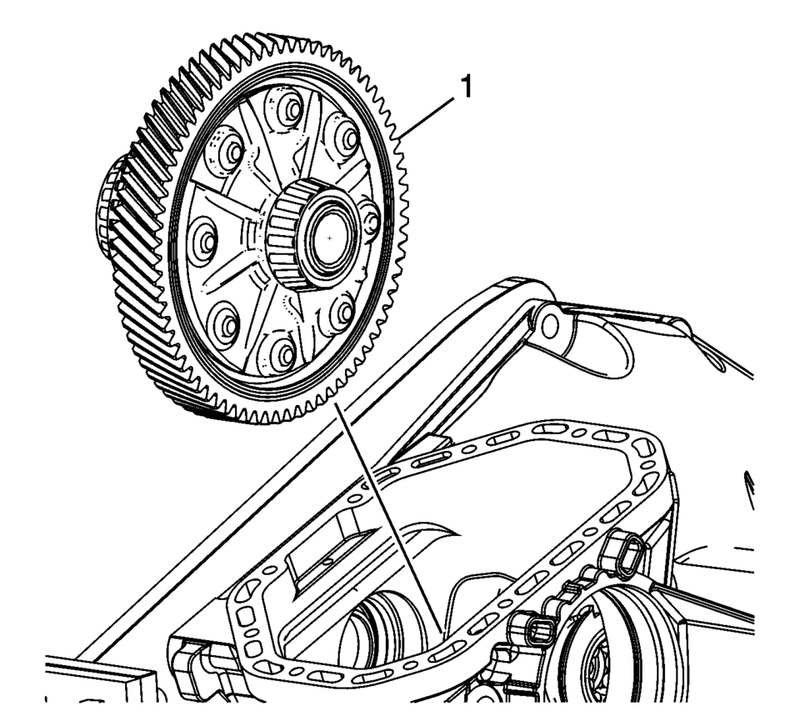 Remove the reverse idler gear washer (5), may stay on the reverse idler gear shaft. Mark the differential bearing adjuster and case (1) before removal. 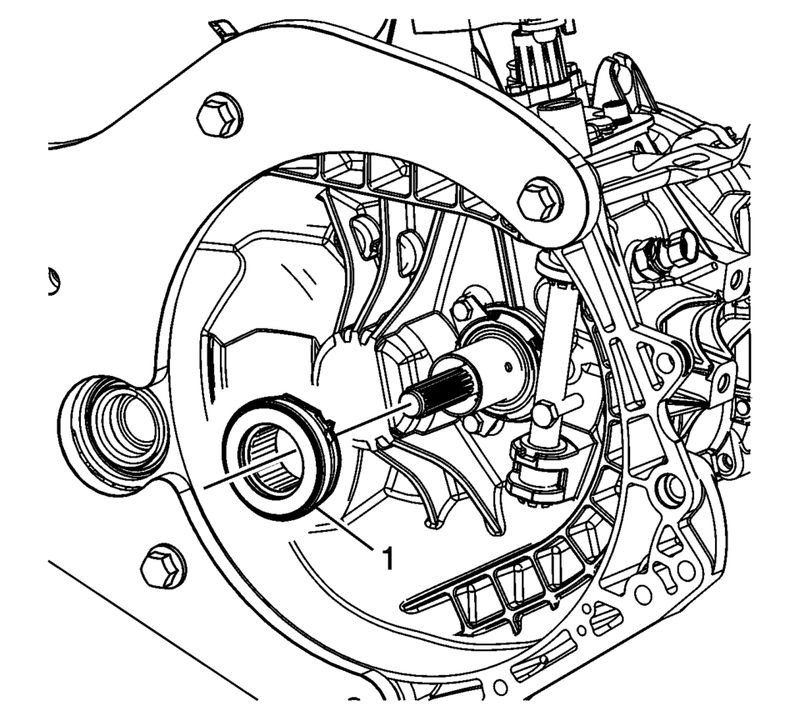 Remove the differential bearing adjuster lock bolt (1). Remove the differential bearing adjuster lock (2). Using S-9407198 differential bearing race wrench remove the front differential bearing adjuster (1). Remove the front differential bearing retainer O-ring seal (2). 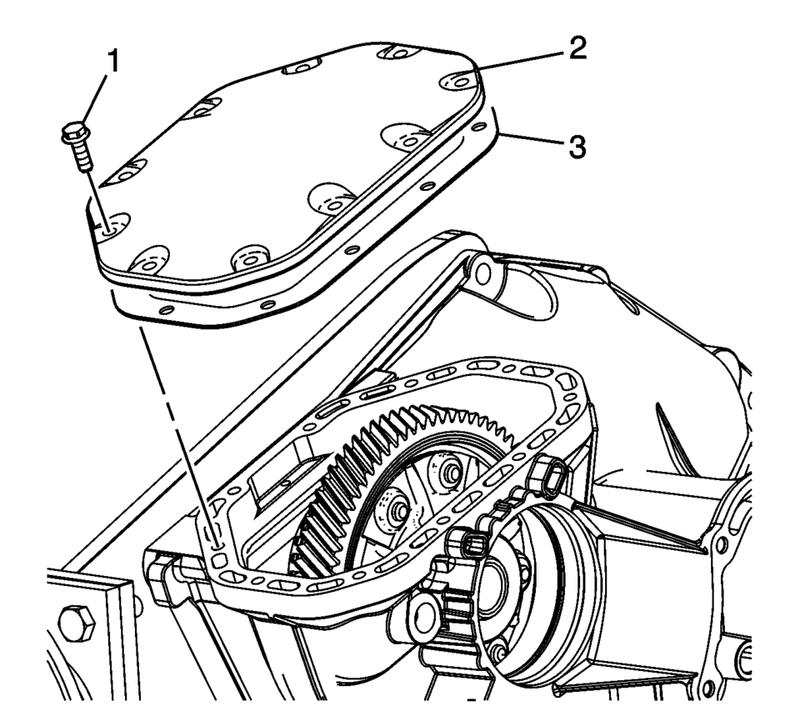 Remove the front differential carrier cover bolts (1). 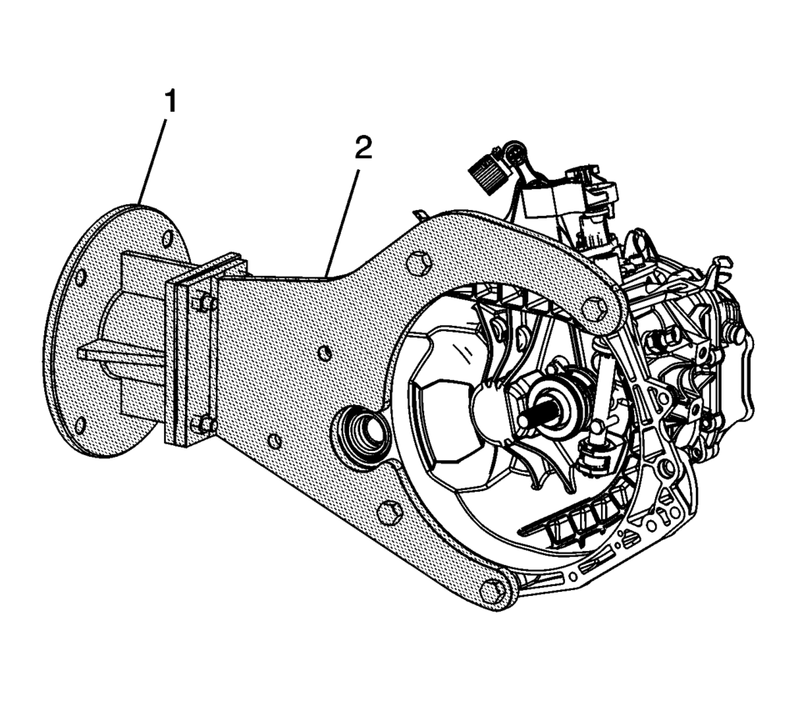 Remove the differential carrier cover (2) and gasket (3). 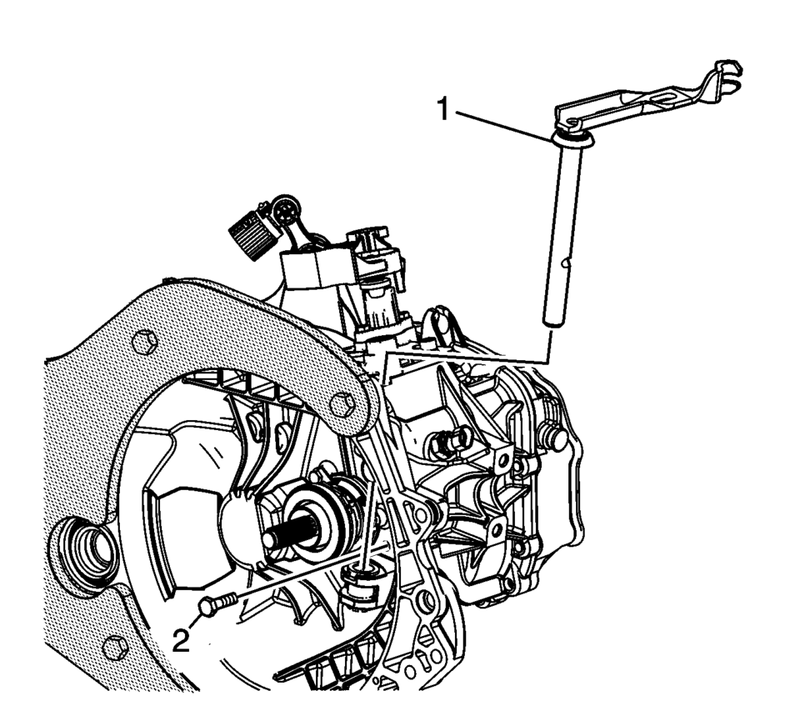 Remove the front differential carrier (1).